The Mini USB sync connector / charge socket is surface mounted on the units main board, allowing you to charge and synchronise data with the iPAQ. 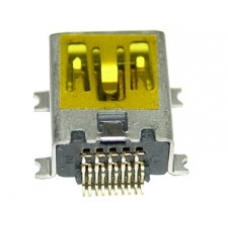 The connector is easily damaged when using poor quality aftermarket sync and charge accessories. Note: replacing this component requires soldering skills.